And the result of that perfecting? Boldness, like Jesus, with no fear, because there is no fear in love. I have never associated myself with the term “boldness” but boldness is a lack of fear. Having courage in the face of trials (or even courage in the day to day!) means trusting His sovereignty and not leaning on my own understanding. It takes intentionality on my part, it takes making my trust bigger than my worry, it takes fixing my eyes on Jesus, it takes repetition. 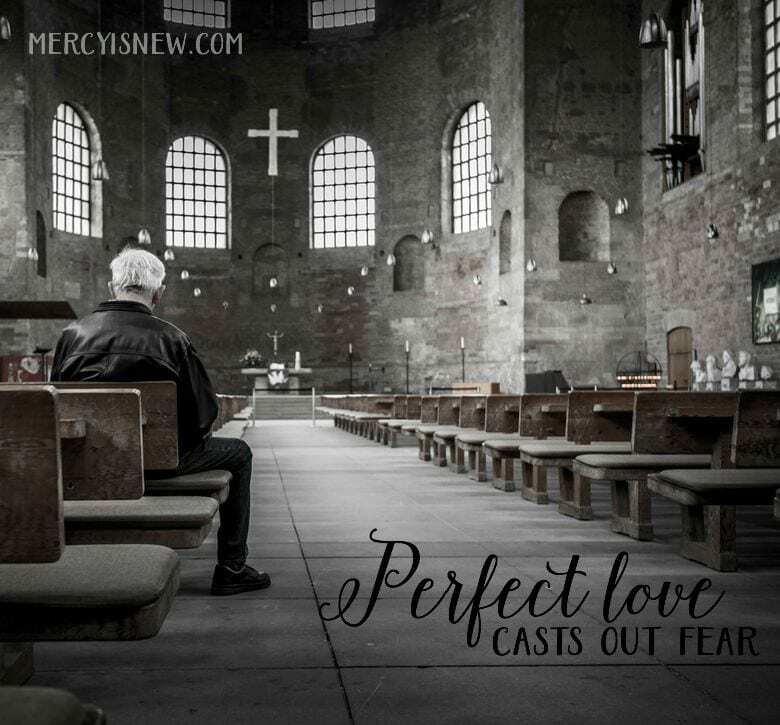 So, how exactly does that perfect love cast out our fear? We trust Him. We totally and completely trust Him. Moment by moment, choosing to TRUST and not worry. Sometimes it is as simple as saying, “I trust You…” and saying it again and again til your anxiety calms down. We dig into the Word like never before, we study, we memorize, we pray the Word, we speak it aloud to our children. We turn on worship music. We go for a walk in nature. We count and name our blessings. We fight for joy. Trusting God is not a one time thing, over and over again, moment by moment…learning to trust Him more! Tis so sweet to trust in Jesus…oh for grace to trust Him more!